Do you traveling? Tired of the traditional paper luggage tags that get lost, ripped off? 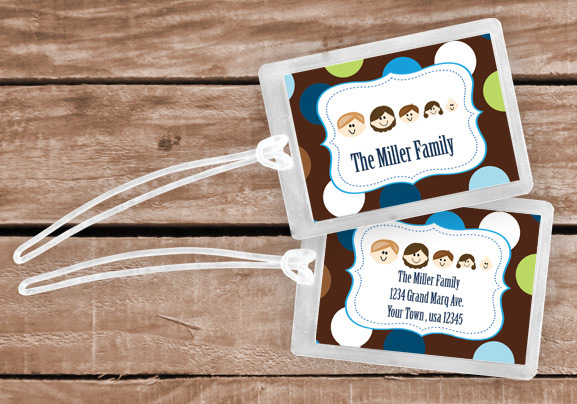 These Personalized Luggage/Bag Tags are great for you. You can personalized it with zebra print, polka dots, stripes, or colors to fit your life. From individual to families theres a bag tag for you. Available in the same line are allergy bag tags. Personalized tag to attach to a child's book bag, inside or out to let teachers know they are allergic to a product or food and to please call emergency. Come and personalize you tags today.